The Pizza Files: Arm twisting, painful arm twisting! Arm twisting, painful arm twisting! 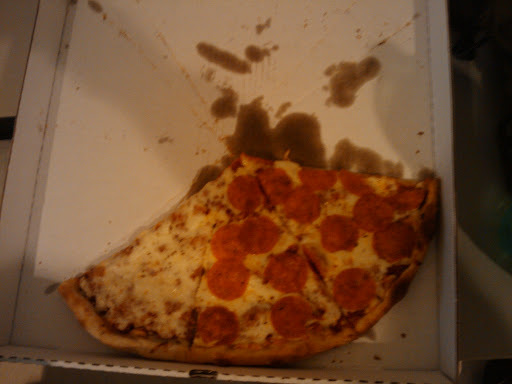 After much painful arm twisting I agreed to eat some delicious pizza from Picasso's Pizza. Really, very painful arm twisting. Sorry for the bad photo, I was to busy eating pizza to make it better. I was conducting training sessions on Friday, Saturday, and Sunday. Each day it was a different group of instructors. The office had pizza catered each day. Each group had pizza once. I got to have it three days in a row. The place is called Pizza Caboose and they have awesome pizza! Getting to eat really good pizza three days in a row can't be beat. Having somebody else pay for it is PRICELESS!